What is your favourite restaurant in Puerto Morelos? Congrats to Anthony and his staff at La Sirena for taking the number one position this year! They were also high up in the ranks for the best place to have a drink on their new rooftop patio. With honorable mentions going to DK and Caribelos that were bubbling under with a tie for 11th place. Congratulations to all the restaurants in town. And a special shout out to Blue Morelos which is the new kid on the block and Chilpayas which was the only restaurant in the colonia to make it into the top 10. The restaurants were chosen by our readers who were asked to rank their three favourite restaurants. Their first pick was awarded three points. Their second choice was given two points and their third choice was awarded one point. In all, more than 43 (previously 28) restaurants were chosen as readers’ favourites. Very impressive for a town our size. If you are wondering how many resturants there are in town, check out our restaurant guide here. You will be surprised! My Paradise Beach Club By a long shot! We would like to say that there was a close non-alcoholic second… but there wasn’t. Also mentioned were La Sirena and Cancun Billy’s. 3. Best pizza in town? I Wanna Pizza Marco, Paco and the team at I Wanna Pizza had more votes than all of the other pizza places in town combined. Way to go! Aarom came out on top! Big congrats to Louise and her crew since this is their first year in business. 5. Best burger in town? Cantina Habanero With honourable mentions going to Burger Underground, La Sirena and Fonda Americana. This was a close race. Most people mentioned shrimp or fish tacos, empanadas followed by guac and chips. We have lots of restaurant choices for all of these foods. Have fun exploring to find out who has the best in your opinion. 7. Where is your favourite Happy Hour? My Paradise Beach Club By a long shot again! 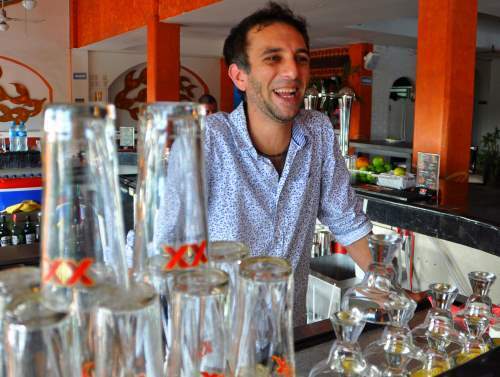 Puerto Morelos loves a good happy hour and theirs is the happiest by far. Other favourites were Unico and La Sirena. 8. Where is your favourite place to stay in Puerto Morelos? 9. 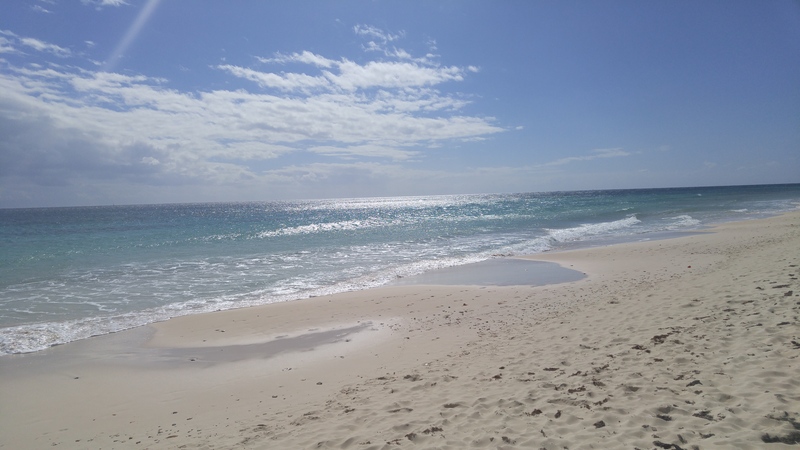 What is your favourite inexpensive or free thing to do in Puerto Morelos? Most people said “walk the beach” or “watch the sunrise”. Visiting the square at night was also very popular. 10. What topics would you like to see more blog posts on? Or do you even read blog posts? People told us they are reading the blog and find it a good source of factual information. You also told us you would like to see more features on local resturants, day trips (which we have here) and features on local people. We look forward to writing and researching all of these. Especially the resturants (YUM)! 11. Complete this sentence: Whatever you do, do not miss (BLANK) in Puerto Morelos! 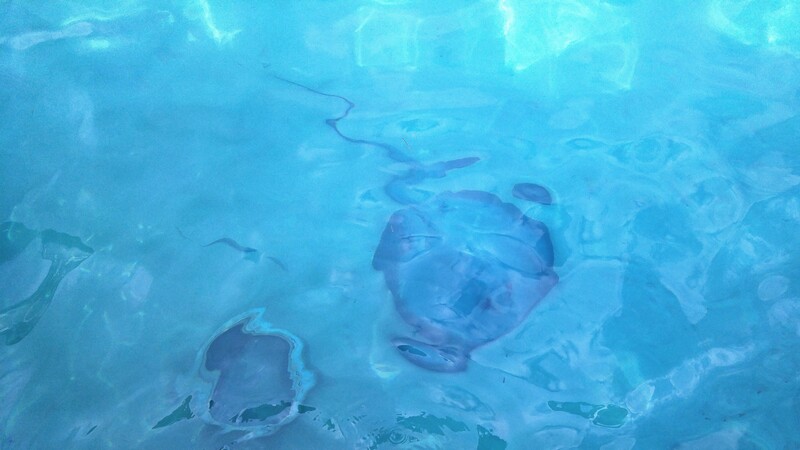 “The friendly people”, “the square at night”, “the reef” for snorkeling and “the cenotes” where the most popular answers. One person even said, “whatever you do, do not miss a chance to go underwater and see the amazing ocean life!” Followed by “wander aimlessly, discovering as I go along”, “bike around”, “don’t miss the Wednesday morning market (by the church)”. 12. Where do you currently get your news/information about Puerto Morelos? By far the majority of you get your information from the FaceBook group Friends of Puerto Morelos or our blog InPuertoMorelos.com. 13. Where would you prefer to get your information on Puerto Morelos from? Given the choice of a book, an app, a website or a FaceBook group most people prefer to get their information from InPuertoMorelos.com or Facebook. 14. What is your best tip or hint to give to a new visitor to Puerto Morelos? “Come!” “Relax” “Don’t try to change things” and “Tip big” were the most popular responses. Followed by “don’t miss the Marquesitas in the square at night” and “check out all the restaurants including those in the Colonia”. 15. Where are you from? Most of you are from Canada or the USA. Thank you again to everyone who took part in the survey. We hope you enjoyed the results and we look forward to doing it again next year. 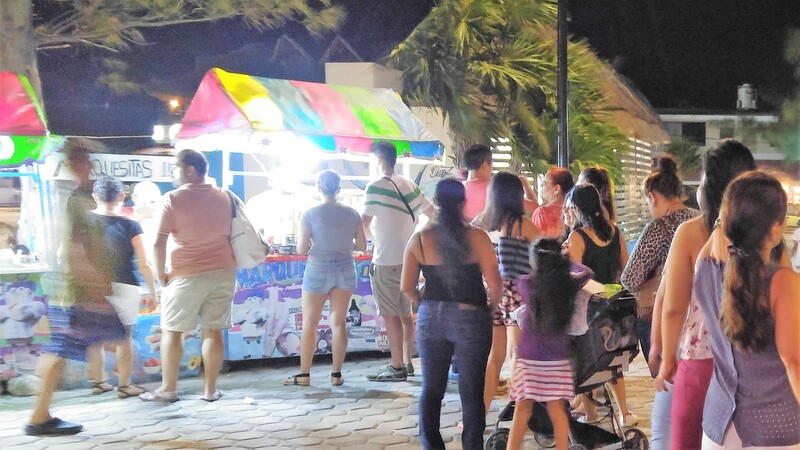 Make sure you subscribe to our blog (top right hand side of the page) so that you don’t miss out on everything going on In Puerto Morelos.